Did you think I disappeared? I did vanish for awhile. I had a crazy September and decided to stop blogging here at TPL temporarily. But, life has slowed down to a manageable pace and so I was able to finally pull my oils and butters and salts off the shelf and get to work on Saturday night. Imagine my excitement, when after three or four different recipes, I have finally found a toothpaste that not only works, but that I actually like! I read recently that coconut oil does amazing things for teeth. Read about it further here. And so I knew that the base for my toothpaste had to be coconut oil. I based this recipe off of another one, but I changed it up a bit. 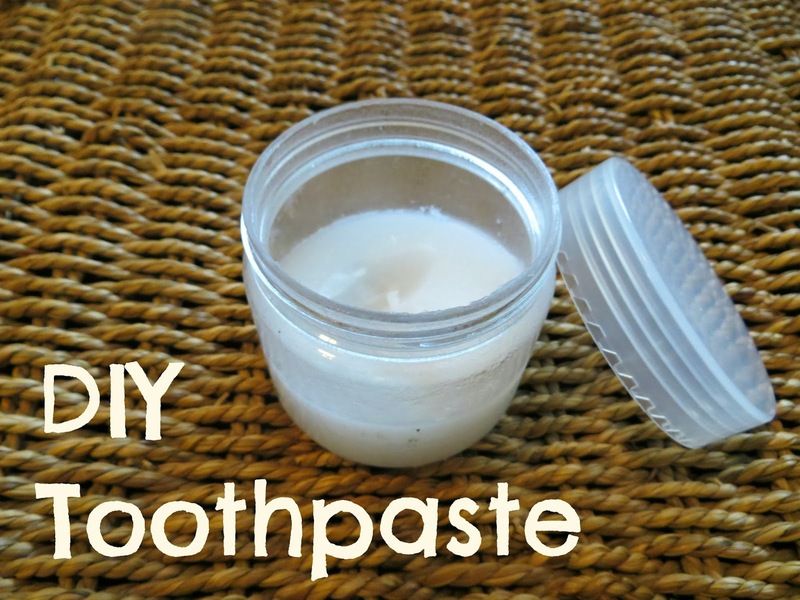 This is by far the best recipe I have tried for toothpaste. I hope you like it! Heat Coconut Oil until it melts and then mix in other ingredients. Place in airtight plastic or glass container. Use by putting a small amount on your toothbrush. Taste the minty goodness! 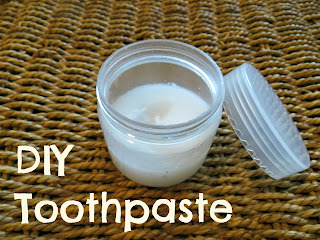 Finally--a homemade toothpaste that doesn't leave a bad taste in my mouth! Sounds like a must try recipe! Thank you very much for sharing!